If you’re running to a tight schedule, travelling with young children, laden down with heavy bags or simply looking to add a little VIP to your airport parking, Drivefly Meet & Greet is just for you. Head straight the airport, drop your car with a Drivefly chauffeur and take the short walk to the check-in desks – while the fully insured chauffeur parks your car in a secure car park. No need for transfers with this meet and greet service. Your car will be driven to a nearby secure compound protected by laser-beam security, CCTV and 24-hour staffing. 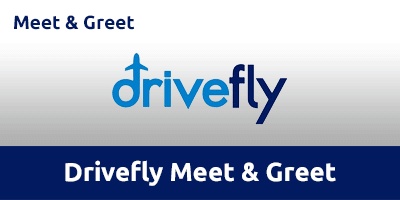 Drivefly Meet & Greet is ideal for any passengers needing extra assistance. Drivefly operates its meet and greet service throughout the year between 5am and midnight. Exit the motorway at Junction 10 and follow signs for the airport. Take the second exit on the first roundabout and head straight over the second. On the following roundabout take the third exit. Follow the left hand lane to the short-term car park. Drive to the designated meet and greet area. Call Airparks 15-20 minutes prior to arrival to confirm arrange drop off. Once you’ve cleared customs and collected your luggage, call Drivefly to let them know you’ve arrived. A Drivefly chauffeur will be waiting for you. Collect your car and enjoy the rest of your trip.